Australia is known for its endless summers, timeless memories, and fun adventures. Every year visitors from all around the world come to Australia for their chance at an adventure Down Under. There are many ways this can be done, although for the ultimate experience, backpacking is the way to go. If you’re planning an exciting trip to Australia and you’re looking into backpacking, here are some things you should consider before embark on your journey. First things first, you need to sort out Australian banking. Most banks allow international transactions, but it’s better to be safe than sorry. CommonWealth Bank allows visitors to set up bank accounts from out of country, so you can have your Australian account set up before you even set foot in the country. No more worrying if your card will work, or having to hassle your bank about international transactions. It’s an easy setup, and well worth it. Most guides you see for backpacking will mention budgeting, and there’s a great reason for that… because it’s essential. Nothing will end your trip faster than running out of money and it’s not fun to deal with, especially in a foreign country. You can expect to spend around $100 on food per week, and upwards of $500 per month for transportation, up and down the coast of Australia. The Australian Government suggests having at least $5,000 AUD of sufficient funds for their Work Holiday Visa, which allows for a comfortable trip. Of course that varies depending on how long you plan to visit. If you’re planning a longer backpacking trip, you can always find jobs available at backpacking hostels, ideal for individuals on a Working Holiday Visa. There are multiple forms of transportation available to backpackers. Buses – If your trip lands you on the east coast of Australia, this will be your cheapest option. Buses frequently depart major cities and usually cost $40-$60, city to city. Bus rides can be very long, so make sure you’re prepared. Car Share/Hire – If you’re not traveling alone, you can hire a car and split the cost with friends. Car hire allows for more freedom on the road, as buses only make certain stops. This is also an extremely cheap option. Australia is a very large country, so make sure your car is prepared and ready for your trip. Fly – Flying is always an option, although it will typically cost you more than other forms of transportation. It’s still relatively cheap to fly in Australia, as you can find deals from Sydney to Melbourne for the same price as a bus ticket. Backpacking Tours – If you’re open to spending a little more money, there are multiple tours available for backpackers which lead up and down the coast. These are great for meeting new people, and seeing all the great parts of Australia. The most popular form of accommodation for backpackers in Australia is definitely the hostel. 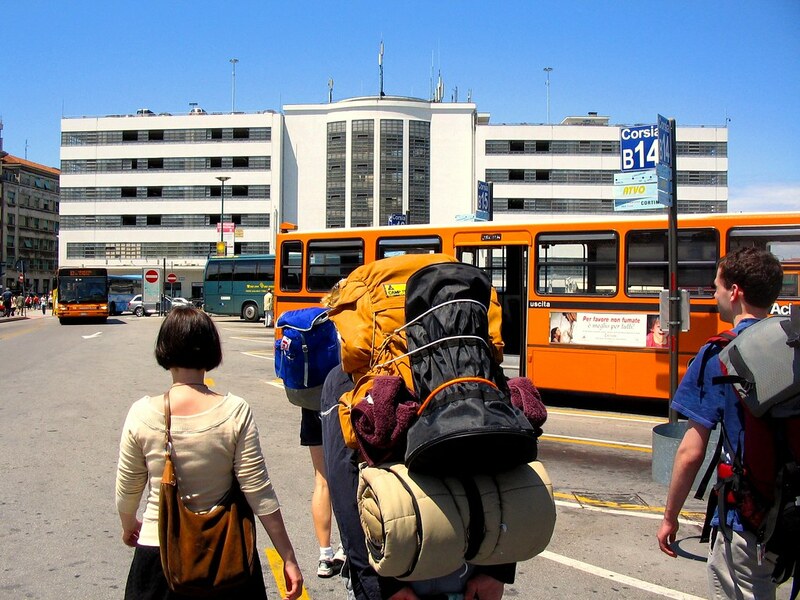 There are backpacking hostels around every corner and not only are hostels fairly cheap, it always allows you to meet other backpackers and build great relationships. You can find a list of great hostels at YHA Australia. AirBnb and Couchsurfing.com are always great options and allow you to meet and network with locals. Sunscreen – In the summer, and winter! Australia can get very warm, so always be prepared with sunscreen. Sunburns are not fun. Flip-Flops – Encountering a beach in Australia is almost inevitable. It pays to have flip flops because nobody likes sand in their socks and shoes. Towels – It’s important to carry 2 towels. 1 for the beach and 1 for the shower. Earphones – Some days as a backpacker can be very long. From traveling to destination to destination, or just exploring, having earphones for music or podcasts can be a lifesaver. Pillow case and blanket – Ideal for staying in hostels. You can also stuff pillowcases to make makeshift pillows. Waterproof Jacket – Although Australia is a very dry country, it can rain, and it can rain hard. Small First Aid Kit – It’s always nice to have a bandaid if you get a scrape or cut. Backpacking offers experiences of a lifetime and can often change the way you look at life. It’s definitely worth the investment if you’re considering a trip. If you need anymore help or want to tell me about your upcoming trip to Australia feel free to contact me! I’d love to hear from you.